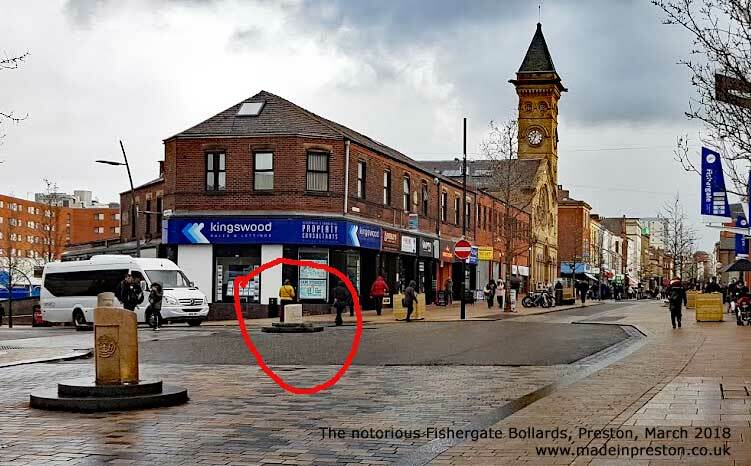 No blog is complete without a mention of Preston’s Fishergate bollards. Lancashire County Council think they can be seen from the moon. Yet several motorists only feet away have actually gone over the top of them. These bollards have their own Twitter account and have been put up for an architectural prize such is their splendour. The circled bollard is obvious, who would not see that! Especially at night or in heavy rain surrounded by other traffic. This entry was posted in Made in Preston, Road. Bookmark the permalink.